With Christmas only a few weeks away, it’s time to think about all of those delicious festive treats that can be made in advance, helping to take the stress out of Christmas. Steenbergs stocks all of the spices, extracts, flavoured sugars and home baking ingredients that you need for your creations, as well as organic flours, dried fruits, unbleached baking parchment and recycled aluminium foil. Here are some delicious festive recipes from a few of our favourite food writers, bloggers and suppliers for you to try out at home. Do let us know how you get on. One of our stockists in Harrogate, Weetons Food Hall, has created this delicious sweet mincemeat recipe packed full of spices, fruit and nuts and a dash of your favourite festive tipple. Best left for 2 weeks after making, this mincemeat can be used to make mince pies and many other sweet treats. Please visit the Weetons website for the full recipe. 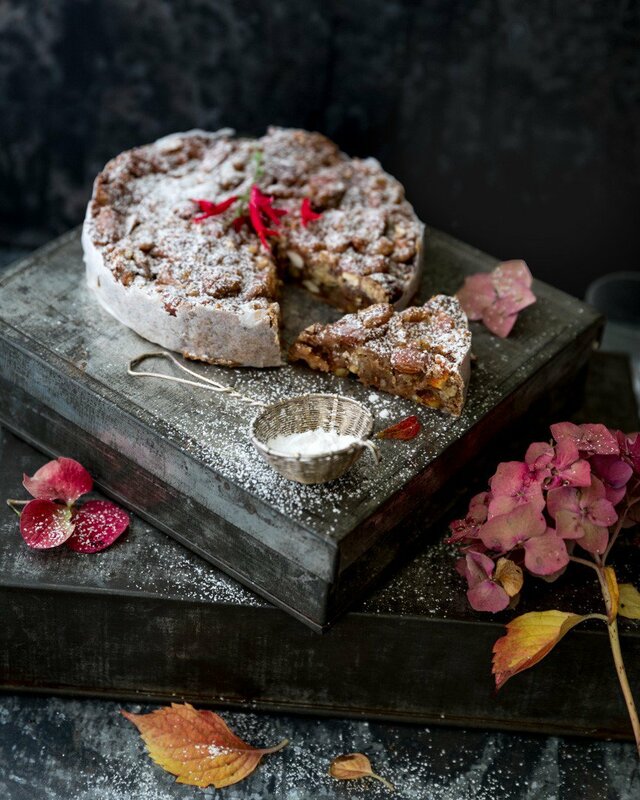 Yorkshire photographer and food writer Joan Ransley makes a fabulous panforte inspired by an Antonio Carluccio recipe. ‘It’s one of my favourite recipes, says Joan, and I love the combination of spices and flavours - coriander seeds, orange, nutmeg and cinnamon.’ Take a look at her website www.joanransley.co.uk for wonderful images and inspiration and click on our website HERE to find the full recipe. The Devilled Egg is a fabulous online cookery school devoted to helping anyone master the art of home cooking. 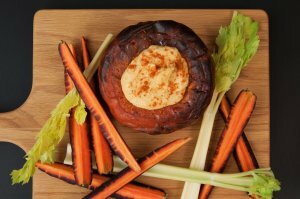 They’ve kindly shared some of their delicious recipes with us and we thought that this tasty Pumpkin and Harissa Houmous sounded the perfect accompaniment to nibbles and festive drinks. 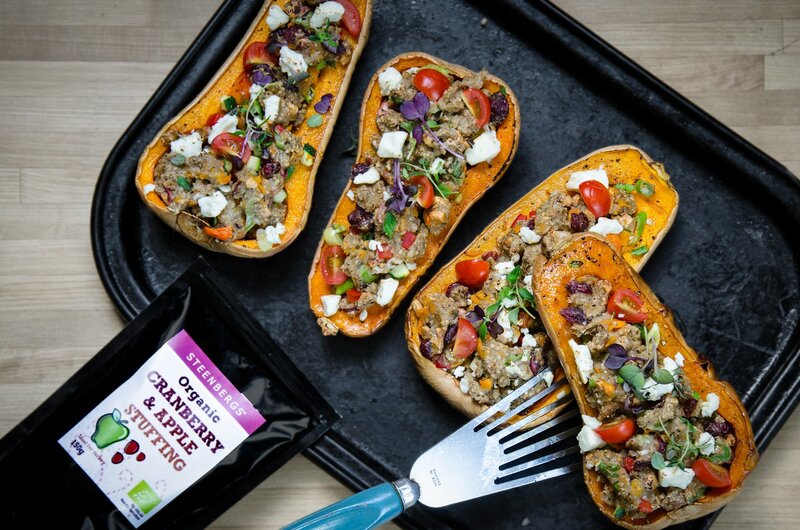 Why not try with butternut squash or sweet potato as an alternative – maybe with a little Steenbergs dukkah sprinkled on top? Steenbergs organic stuffing mixes are a really versatile way to create vegetarian meals, as well as providing the traditional stuffing to a turkey. They only contain herbs, spices, fruit and breadcrumbs and are an easy and convenient way to create a wholesome stuffing. For a ‘get ahead’ meat-free meal, why not make some tasty Cranberry & Apple stuffed Squash and pop them in the freezer to save time. 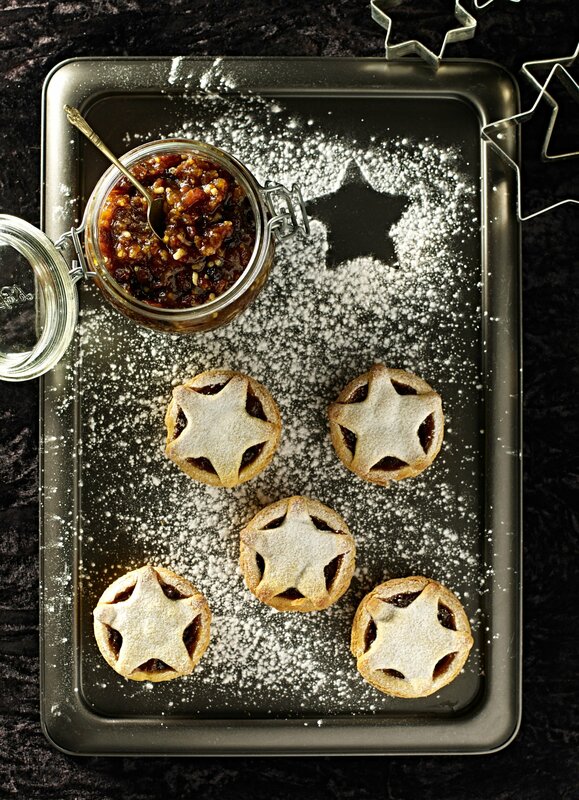 Look out for our Christmas recipes part 2 all about festive baking coming soon….